Part of what makes franchising such a risky venture is that buying into a franchise chain isn’t like buying an independent business (or, for that matter, putting money in a savings account). Franchisees don’t fully own their companies. They pay an upfront fee for a license to operate a franchise and make royalty payments based on the store’s income. A storeowner might be able to sell her franchise license for as much as she invested, or more, but as the FranchiseGrade analysis shows, failure or termination is a more frequent exit than a sale. The breathless marketing around franchise businesses often makes them out to be surefire moneymakers. Case in point: The website franchisehelp.com, a resource for prospective franchisees, sent an e-mail yesterday advising recipients to “Just Say No to Savings Accounts”—and to consider parking their savings in a “turn-key” franchise business instead. They make it sound as if a Quiznos is as solid an investment as a New York City taxi medallion. A new analysis published by industry website BlueMauMau shows just how wrong that is. 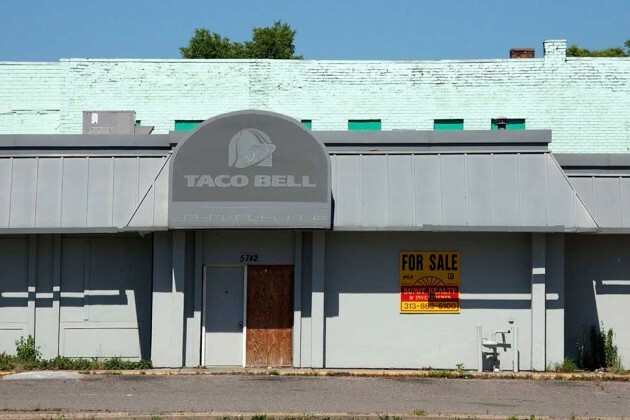 Of 165,000 franchise operations that changed hands or closed from 2010 to 2013, more than one-third, or about 58,000, went out of business. Another 40,000 were terminated—i.e., the franchiser yanked the license back from the buyer because of some breach of contract. And another 12,000 contracts weren’t renewed when they expired. The data were compiled by FranchiseGrade, a company that analyses franchise systems for prospective investors. In all those situations, franchise buyers are unlikely to have recovered the money they spent to get into the business. Many may have lost more than their initial investments, says Don Sniegowski, editor of BlueMauMau: “Unlike stocks, where you’re out the amount of money you put in, you can invest $5,000 for a startup fee and walk out with a collapsed business and hundreds of thousands in debt.” He adds that some franchisers sue failed storeowners for royalties they would have paid if they have stayed in business for the length of their contract. Franchisers typically argue that the ability to terminate franchisees is crucial to maintaining brand standards and that franchisees are ultimately responsible for doing due diligence and running a successful shop. The International Franchise Association, a lobbying group for the industry, told BlueMauMau that three years of data isn’t enough to draw broad conclusions. But it’s enough to make you think twice before raiding your personal savings to open a fast-food shop. Clark is a reporter for Bloomberg Businessweek covering small business and entrepreneurship.